BIRMINGHAM, AL- Sean Doyle and Randal Snook of FitzMartin will be focusing on new opportunities in the coming months. The Birmingham business partners who created their company over 20 years ago are shifting direction by creating two separate entities. 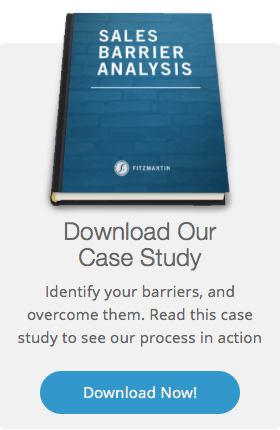 “FitzMartin is in the business of working with business leaders to generate new revenue through sales process improvement, marketing consulting and implementation. Frankly, we help executives use the tools of sales and marketing in ways they never thought possible,” said Sean Doyle, President of FitzMartin. Doyle said that over the years working to help businesses around the country, he observed business typically not failing for a lack of ideas. They fail for a lack of revenue. “FitzMartin’s renewed focus and use of digital tools, and even as a provider of marketing and sales software, will further enhance our legacy of helping businesses achieve revenue goals,” said Doyle. Snook who is launching his own strategic, creative and brand development firm will focus on serving primarily business-to-business clients. He has retained several client relationships as he moves forward. More information about Snook’s new firm will be announced soon. Both Snook and Doyle say as they grow their base as two separate companies, they are looking to attract young motivated talent. In early 2016, FitzMartin will be launching a program where they will be offering two grants of cash, as well as sales and marketing leadership for startup entrepreneurs or impactful non-profit organizations looking to make their mark in the Magic City.